Thoughts from Him … Thoughts from Her … on life AFTER … "Life After Dark"
← Well THAT Went By Quick!! 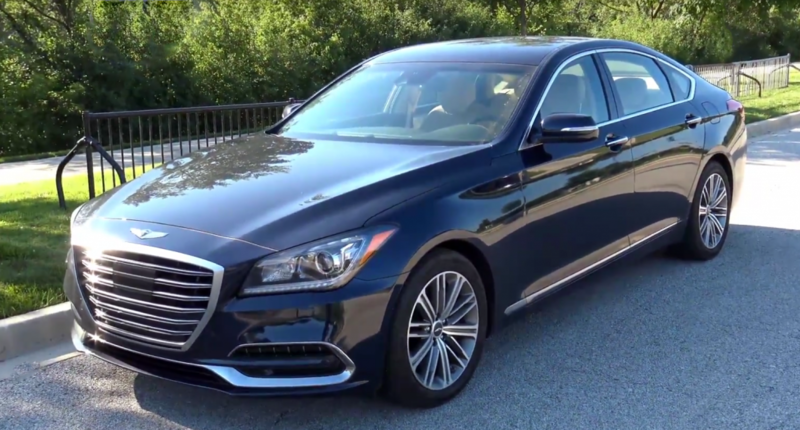 Our latest Video Road Test, the 2018 Genesis G80 3.8, has just been posted on Consumer Guide Automotive’s Daily Drive website. Just click on the link above to take a spin with us..
And don’t forget, if you want to check some of our previous road tests and some of the other goodies we’ve been pouring into the Daily Drive tank, just point your browser right here. This entry was posted in Automotive and tagged Automobile, Automotive, Car and Driver, Car review, Cars, cgdailydrive.com, collectible automobile, Consumer Guide, Consumer Guide Automotive, Genesis, Hyundai, Johnnie Putman, Life After Dark, Motor Trend, Motor Week, MotorWeek, Radio Road Test, Road and Track, Road Test, Steve & Johnnie, Steve and Johnnie, Steve King, WGN, WGN AM, WGN Radio. Bookmark the permalink. More Time Inside Your Speakers! Tues. Morning (April 23) We’re Back Inside Your Radio Speakers! 2019 Toyota Avalon Hybrid Limited Road Test! See You This Saturday In Elmhurst?